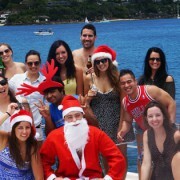 You are here: Home / Read Our Blog / Sydney Harbour / Why should you spend the day on Sydney Harbour? 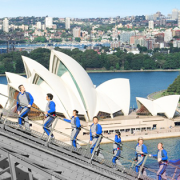 Sydney has a lot to offer, with an abundance of history, culture, fashion, nature and many, many other things. The city is sandwiched between long stretches of some amazing coastline and there’s a beach for everyone … whether you want the thriving atmosphere down at Bondi or you’d prefer the more chilled out vibe of Watson’s Bay. 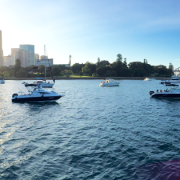 But there is often a part of Sydney that gets overlooked … when was the last time you stopped and really took in our fabulous Sydney Harbour? 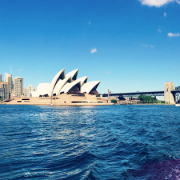 Whether you’re a Sydneysider or just passing through, it should be against the rules to not make some time to really appreciate Sydney Harbour in all its glory! In fact, we would like to make it a rule right now! Sydney Harbour is simply beautiful and there are many ways you can see it but if you have the time and you want to have a great day (or evening) with your favourite people in one of the most amazing harbours in the world, then there is no better way than to hire your very own private catamaran for the day. If you book a morning or an afternoon charter with Rockfish, you get a private skipper and deckhand who will show you some of the best the harbour has to offer … you’ll see the remarkable Sydney Opera House and the Sydney Harbour Bridge, but you’ll be able to appreciate these city icons, as well as our beautiful city skyline from a whole new perspective! Hiring your own catamaran for a few hours is not as unrealistic as you may think! Our private charters start from the very low price of $15 per person per hour. 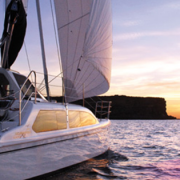 So you really can enjoy Sydney Harbour on your own private catamaran … contact us today to register your interest! 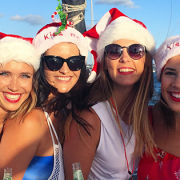 https://www.rockfish.com.au/wp-content/uploads/2014/09/Sydney-harbour.png 315 851 Rockfish https://www.rockfish.com.au/wp-content/uploads/2017/02/logo-compressed.png Rockfish2014-09-23 02:33:302017-11-01 14:55:54Why should you spend the day on Sydney Harbour?